Happy Saints: Which Station is this? What are the 7 Spiritual Works of Mercy? What are the 7 Corporal Works of Mercy? 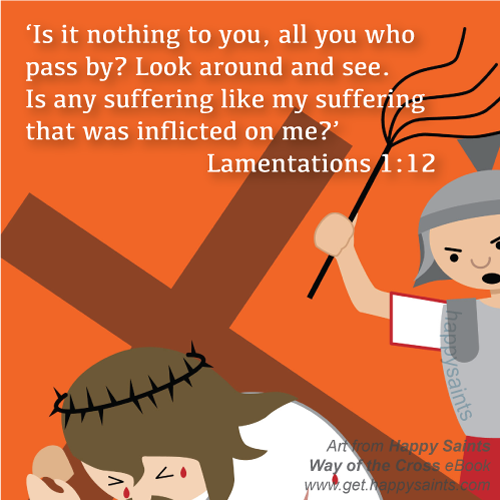 What are the 14 Stations of the Cross? What are the Seven Last Words of Jesus? What are the Seven Sorrows of Mary?